Banners and Flags Designed for Street Lamp Applications Look Great in Outdoor Locations! 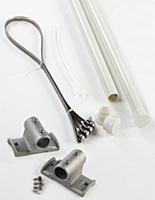 These Hanging Equipment Sets Do Not Include Promotional Signage! Banners and Flags Can be Purchased Separately and May Feature Custom Graphics! 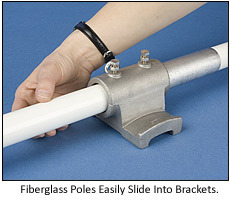 67" wide fiberglass rods let you display (2) 30" wide flags side-by-side. 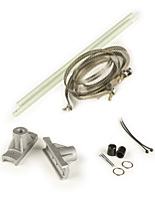 Stainless steel hose clamps keep your brackets securely attached to almost any light pole. Sold without flags so you can custom design your own presentations. Banners and flags were designed for attaching vertical signage to street poles or light posts in outdoor settings. 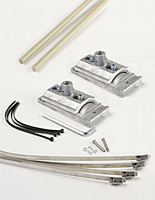 These outdoor brackets, banners and flags include all of the necessary hardware to set up a personalized presentation. Custom printed displays are all you will need to provide for a comprehensive advertisement. 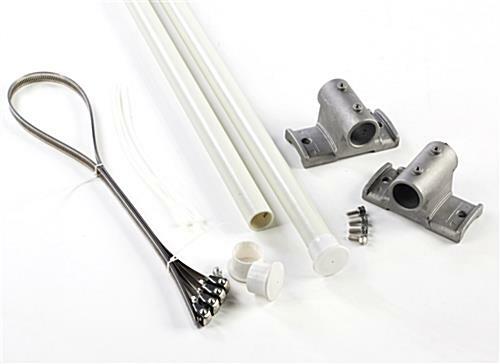 Banners and flags, also known as light pole banner hardware, includes (2) 67" long fiberglass rods for displaying (2) 30" wide flags, side-by-side. 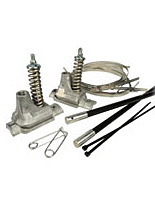 The rods easily attach to the front of a lamppost using the provided brackets and zip ties. We even provide these banners and flags with stainless steel hose clamps for a secure and sturdy attachment to any shape street pole, even square styles. Banners and flags can be used to present vertical banners varying in length. As shown in our graphics, we used (2) 30" x 60" flags. It is important to note, though, other standard lengths include 84" and 96". These light pole brackets, banners and flags are usually found in downtown areas or university campuses to display town pride or communicate upcoming events. You can also use these banners and flags within a shopping center or to publicize a sales event or simply share warm holiday wishes. Banners and flags, such as light pole brackets, can be used to develop captivating presentations using structural elements already present within an area. 4.8" x 3.3" x 1.5"